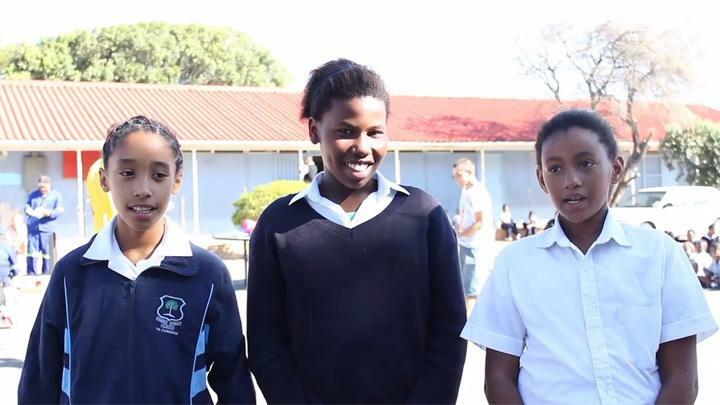 Kids in South Africa tell us what they really think about our volunteers! In January, Projects Abroad started a new project at a primary school in Steenberg, Cape Town. We revisited the school last week and interviewed some students. They had some interesting things to say about our volunteers! Jodi (11), Belita (12), and Nicole (10) are in grade five and come from a community where children are exposed to drugs and abuse from a young age. They have all experienced the arrival of volunteers at their school since January and are personally affected by the changes they have brought. When the first volunteers arrived to help teach at the school, their impact was immediately felt. Since the school is understaffed, the volunteers were able to add that personal attention that some children need. “They are wonderful, caring, supportive and helpful”, Belita explains, “they are assisting the weak children in the class, and if you are struggling, you just have to lift your hand and they will come to you”. One volunteer even started a reading club for those behind in their reading. A few volunteers have also taught sports at the school, and have radically transformed the P.E. classes. Due to the lack of resources, the teachers would take the children out and let them run around freely and improvise games with tyres and a few balls. Thanks to a recent donation by two volunteers, the school has been provided with various sporting balls, a volleyball net, goals, a table tennis table and much more. This will ensure that future volunteers will be able to run P.E. classes with a variety of activities. “I am very thankful, because not all schools have the opportunity to get these things”, expressed Jodi. The presence of a few volunteers at a school in need makes a great difference in the lives of the children. Jodi, Belita and Nicole are looking forward to new volunteers coming to their school. Steenberg is situated in the Cape Flats area, and is regarded as an underprivileged area of Cape Town. The region is subject to high unemployment, crime and substance abuse. Schools in the area are mostly understaffed and classes can go up to 60 children. The need for volunteers at the school in Steenberg is high, and they have the opportunity to teach a variety of subjects, either as assistant teachers or as independent teachers with their own class. Furthermore, the project offers the opportunity for the volunteers to teach sports in the form of Physical Education lessons to the various classes of the 600 school pupils. 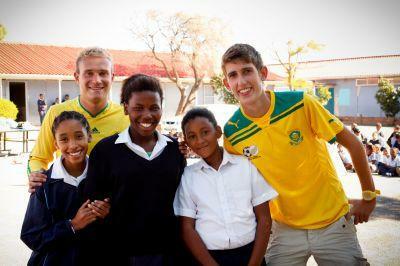 Find out more about how you can join this project to help with volunteer teaching in South Africa.